When you’re lounging comfortably poolside, energy efficiency is likely to be the least of your worries. But for many homeowners fortunate enough to have these fun backyard spaces in which to swim and splash during the season, the cost of heating their pools and concerns about wasting electricity are summer realities. The energy used to heat a pool is quickly sent to the outside environment if the pool is not properly covered when not in use, and harnessing this “free heat” is important for those early morning swimmers. To extend their use beyond the summer season, many people heat their pools. Heating is a fairly simple process. But so is heat loss. Approximately 70 percent of heat is lost when it evaporates. There are simple steps homeowners can take to prevent heat loss, but the easiest way is to cover the pool when it is not in use. Pool covers filter out finer debris, block heat loss caused by evaporation and provide an insulating effect. Savings will depend on how long the pool is covered, but it can add up to as much as 50 percent in energy savings per pool season. When using a pool cover, residents will also save on makeup water since more will be retained. The existing pool water will not evaporate as quickly. Calculating the exact savings associated with a pool, especially operation and maintenance, can be tricky. The size of the pool, as well as your local climate, plays a major role. The Washington State University Extension Energy Program provides a free Pool Energy Use Calculator on its website (http://energyexperts.org/CalculatorsTools/PoolEnergyUseCalculator.aspx) that helps pool owners determine how much they will save based on their specific application. Picking a pool cover will depend on the size of the pool and how much space you have to store the cover when not in use. Transparent insulating solar covers are the most common. They float on top of the pool and resemble bubble wrap. These covers block evaporation and allow the sun’s rays to heat the pool during the day. An alternative to a conventional pool cover is a chemical cover, which provides some evaporation protection without the hassle of moving the cover on and off the pool. These chemical covers often involve a type of alcohol molecule that floats to the top of the pool water when the water is calm. 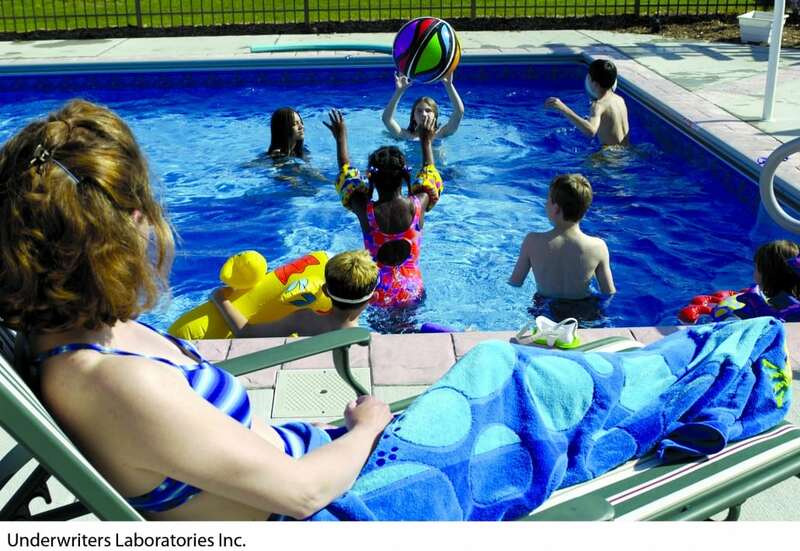 Chemical covers are designed for use while the pool is occupied, but their effectiveness is diminished when swimmers or wind disturb the pool surface. Savings from chemical covers are often less than from traditional ones. Pool covers provide the highest energy savings when they are used regularly. Deciding whether to invest in a conventional cover, chemical cover or both depends on the number of hours you and your family actually spend in the water. Other factors include the labor costs to move and store the cover, as well as activity levels in the pool and ambient conditions. So when you and your family are lounging poolside this summer, remember ways to save energy for your backyard oasis.